AAMPHAA is the leading glass mosaic, tile dealer and Interior designer in chennai. This is a handmade glass mosaic made up of a tiny glasses, merged perfectly to get the beautiful mesmerizing picture. Usage/Application: Swimming Pool and Water Body. 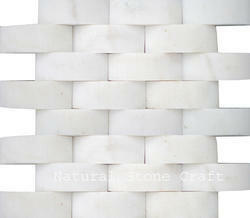 We also provide comprehensive gamut of mosaics tiles and buches that are procured from well known vendors. Widely used for decorating pathways in gardens, these are available in variety of patterns, shapes and sizes in compliance to client's requirements. We offer these at industry leading prices to our clients across the globe. From the years of commencement, we are engaged in offering a huge assortment of quality approved Mosaic Border Tile to our clients. This range of Mosaic Border Tile is known for its excellent performance and manufacturing process based on advanced technology. This product is offered in best range to our clients. 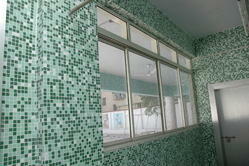 We are engaged in offering high quality range of Little Glass Mosaic Tile to our esteemed customers.